I've always had issues when peeling hard boiled eggs so when I was watching a Gordon Ramsay programme and he said that you could peel eggs easily his way, I immediately made a mental note to try it out. It seemed such an easy idea and I had confidence that it would work. To test it I hard boiled 2 eggs from the same batch. 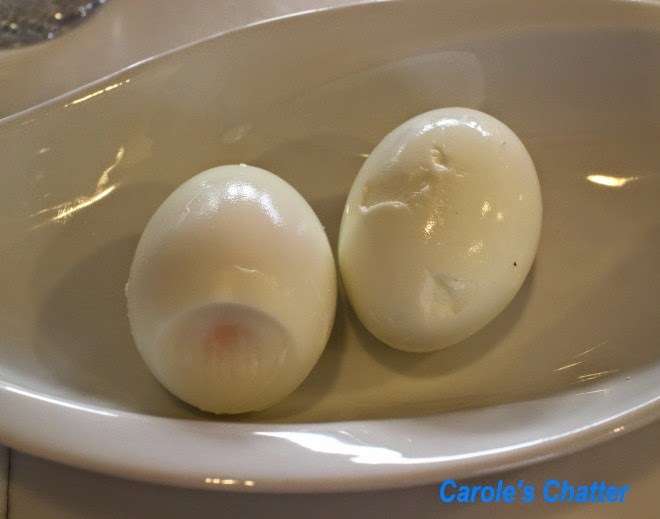 I have posted about the method I use for getting perfect hard boiled eggs here. So with one of the eggs I just let it sit in cold water as per usual. For the other I used Gordon's tip – I tapped the egg to crack it in several places and then put it back into the cold water again for a couple of minutes. 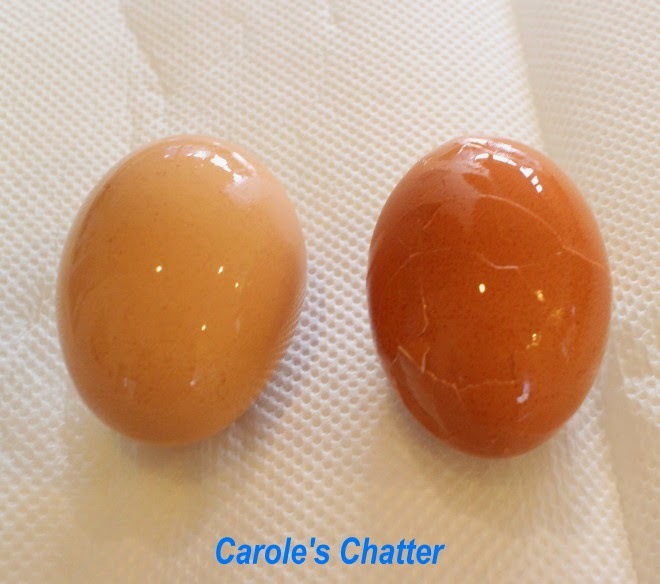 And yes – one of the eggs peeled very easily and the other was a bit of a shambles – but the thing is – the egg that was not put back into the water after cracking was the one that didn't work well! So – Gordon – your tip didn't work for me! Back to the drawing board. I have been trying to find the secret to this as well. i found a video that shows cracking the eggs, then very gently rolling them along the table top with the palm of your hand. The results were hilarious the first time with bits of egg and shell every where . The next time I was much gentler and it worked reasonable well. i have tried EVERYTHING and finally figured it out. take the eggs off of the burners, drain them, cover them in water and while they are still warm, crack them on the roundest end and the shell will peel right off. i've done this 4 times now and it has worked each time. if you let them cool, the membrane shrinks and adheres to the egg and then the struggle begins! i also have had issues - i did find out that the fresher the egg, the harder it is to peel - got that? Next salt the water - fair results. Next vinegar in the water - really good results, but not always perfect - see my note above. 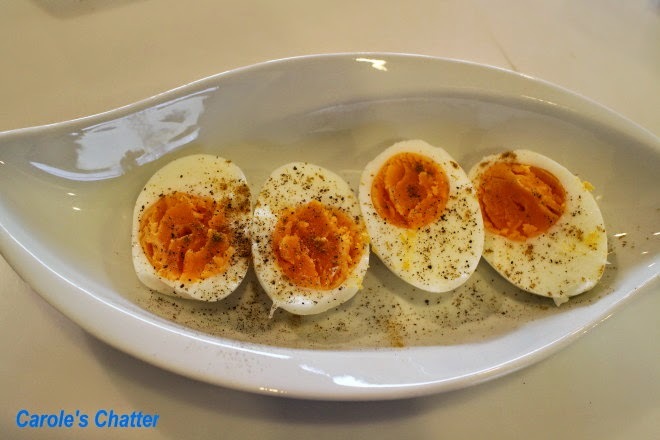 I used to be a cook-from-cold-water girl, but despite totally not believing a thing on the internet, I tried this (http://www.seriouseats.com/2014/05/the-secrets-to-peeling-hard-boiled-eggs.html) on the weekend, adding eggs to boiling water (I did prick the ends) and then putting them straight into iced water after the cooking time. And then rolled to crack all over after they were cold and peeled (wastefully) under running water -- *perfect* results. I was sure the eggs would explode in the boiling water, but they didn't. Also I used different dated eggs, and they all peeled so well. I am still in shock! Hahaha that's funny, Guess Gordon won't be inviting you to be on his show! Yeah I have yet to find a fool proof way of peeling. Carole, you are contradicting yourself in your experiment. You state, "the egg that was not put back into the water after cracking was the one that didn't work well!" THAT EGG would be the one that you let sit and did not crack. So you ARE proving Gordon's method works! I've tried them all several times; what I found was the outdated eggs peel the easiest, the eggs here in US are good a week past sell by date, each time I've used them at least four days after sell by they peeled perfectly.